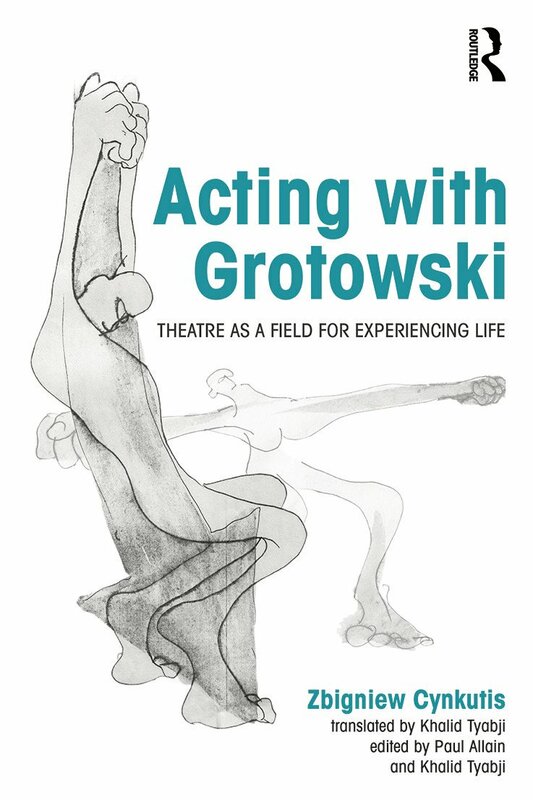 Acting with Grotowski: Theatre as a Field for Experiencing Life　explores the actor-director dynamic through the experience of Zbigniew Cynkutis, one of Polish director Jerzy Grotowski’s foremost collaborators. Cynkutis’s work as an actor, combined with his later work as a director and theatre manager, gave him a visionary overview based on precise embodied understanding. Cynkutis’s writings yield numerous insights into the commitment needed to make innovative, challenging theatre. A central component of　Acting with Grotowski　is his distinctive approach to training: ‘Conversations with the Body’ includes a range of techniques and approaches to warming up, rehearsing and creating work from a physical starting point, beautifully illustrated by Bill Ireland. The book comprises reflections and practical suggestions on a range of subjects – theatre and culture, improvisation, ethics, group dynamics, and Cynkutis’s vision for the Wrocław Second Studio.□ It contains visual and textual materials from Cynkutis’s own private archive, such as diary entries and letters. Acting with Grotowski　demonstrates the thin line that separates life and art when an artist works with extreme commitment in testing political and social conditions.